Location, location, location! 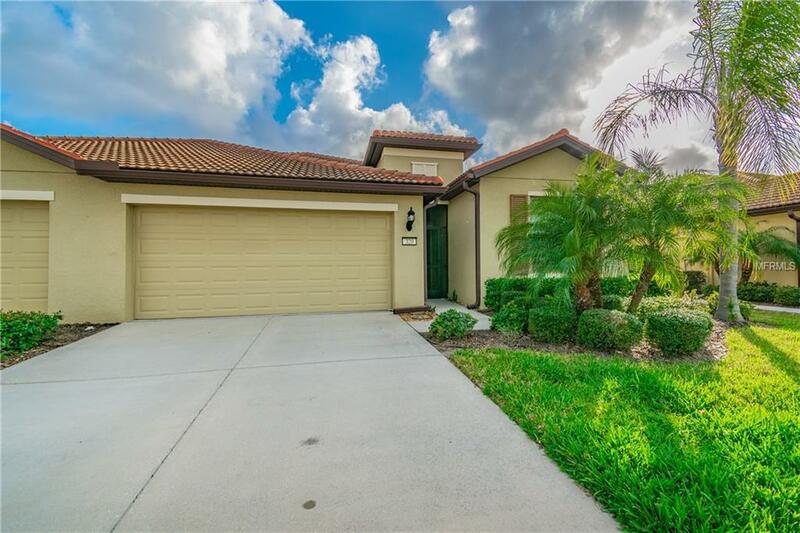 Waterview 3 bedroom villa located in the active 55+ community of Southshore Falls. This beautiful villa has 2 bathrooms, large screened lanai and 2 car garage. Split plan layout with a large master bedroom, a large walk-in closet and spacious master bath with granite counters, dual sinks and walk-in tiled shower. Kitchen with eating area and breakfast bar, and showcases granite counters, beautiful 42" cabinets with custom ceramic backsplash. Open living room/dining room features tile floors. This villa has 3 bedrooms which is a unique feature for this model home. 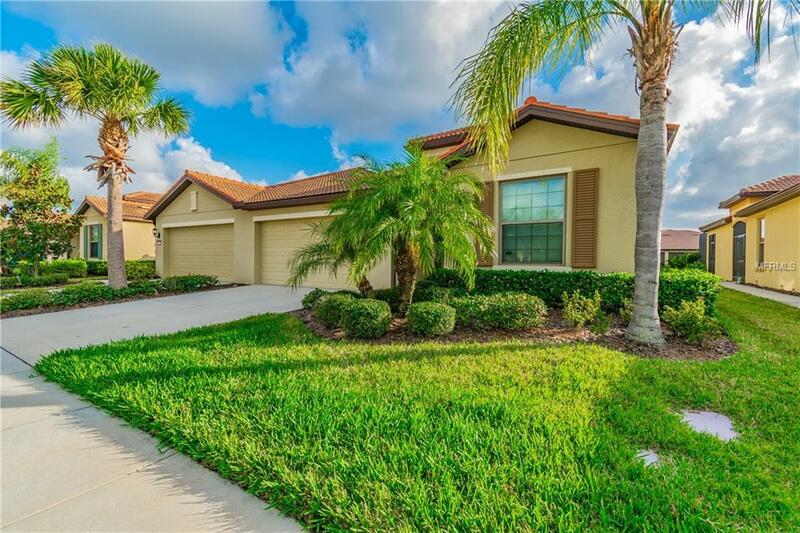 Relax while enjoying your morning coffee or evening beverage with beautiful pond and wildlife views from the privacy of your large screened lanai. Screened front of home, decorative front door, pest control system in walls and hurricane shutters. 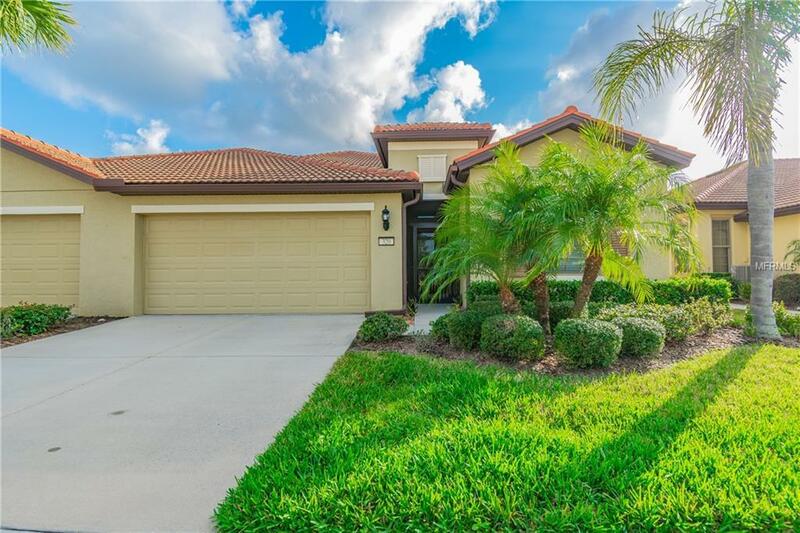 Southshore Falls is a desirable 55+ very active virtually maintenance, low HOA, no CDD gated community with all the amenities you can imagine including 14,000 sq. ft. clubhouse, state-of-the-art fitness center, ballroom, swimming pools, pickle ball courts, tennis courts, bocce ball courts, billiards, library, caf, and numerous clubs. There are ten golf courses within 20 minutes of your new home. 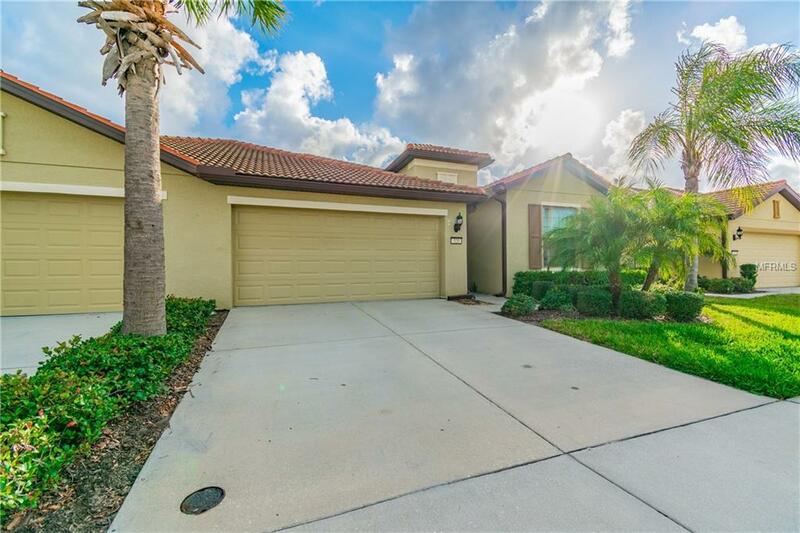 45 minutes away from the beaches of Bradenton or St. Petersburg Island or Tampa International Airport. Call for an appointment. Additional Lease Restrictions Buyer To Verify Current Hoa Lease Restrictions 55+ Community. Pet Restrictions Buyer/Buyer's Agent Responsible For Verifying Current Rules And Restrictions With Hoa Management.